Attorney Jonathan Frutkin comments and explains the future of equity crowdfunding. Although delayed for nearly a year, today the Securities and Exchange Commission unanimously approved the release of proposed equity crowdfunding rules. The proposed rules have been published and are available on the SEC website for public comments. The rules are part of the implementation of The JOBS Act, a 2012 law which legalized the opportunity for regular people to invest in local businesses without cumbersome regulations. Attorney Jonathan Frutkin wrote the book “Equity Crowdfunding: Transforming Customers into Loyal Owners” which was published earlier this year. The book, available on Amazon.com, explains how this extraordinary opportunity will allow local businesses to generate new enthusiasm to accelerate their growth. 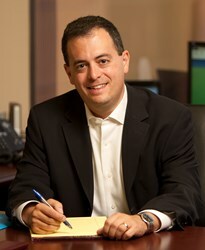 Frutkin is Principal with The Frutkin Law Firm, PLC in Scottsdale, Arizona. Frutkin believes that the ability of regular people to own part of their local economy, rather than being limited to simply investing in large multi-national companies like Exxon and Apple will be transformative to communities. “People have become far too disconnected from their investment dollars. Instead of driving Wall Street, their investment in Main Street will make their neighborhood a much more interesting place to live,” Frutkin notes. “Now, at least some of their net worth will help their community flourish.” Frutkin also emphasized that equity crowdfunding is not permitted yet, and any company looking at this type of financing should contact their legal counsel. Frutkin has been active in the crowdfunding movement since The JOBS Act was passed last year. He is a frequent speaker and commentator on the future of crowdfunding finance.